Quick overview Practical resources and ideas to support the development of young children's anger management. 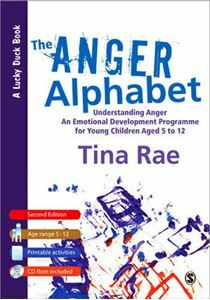 An ideal resource for primary teachers, this practical resource helps children understand anger and identify links with other emotions with an interactive programme using 26 elements. They will learn skills to effectively manage their anger with activities and exercises. New to this edition is: " Information on recent initiatives on anger management in schools " Models and top tips for coping with anger " New activities and ideas " Further information for young children aged 5-9 This instructional guide for teachers comes with photocopiable worksheets and activities suitable for both group and individual work for the whole-class which are available to download online. Tina Rae has 25 years experience working with children, adults and families in both clinical and educational contexts within local authorities. She is currently a Professional and Academic tutor on the Doctorate in Child and Educational Psychology at University of East London.